A casual bar with locations in Plymouth, Marshfield, and soon, Hyannis, just announced its fourth restaurant will be in Quincy Center. KKatie’s Burger Bar is slated for a September opening in the West of Chestnut development. KKatie’s, founded in 2014 by Keith Steiding and Kate McSorley, has built a following among eastern Massachusetts burger fans with more than a dozen burly burger specials, including the one-pound Plymouth Rock, a triple-stacked bacon cheeseburger topped with crispy onion rings. 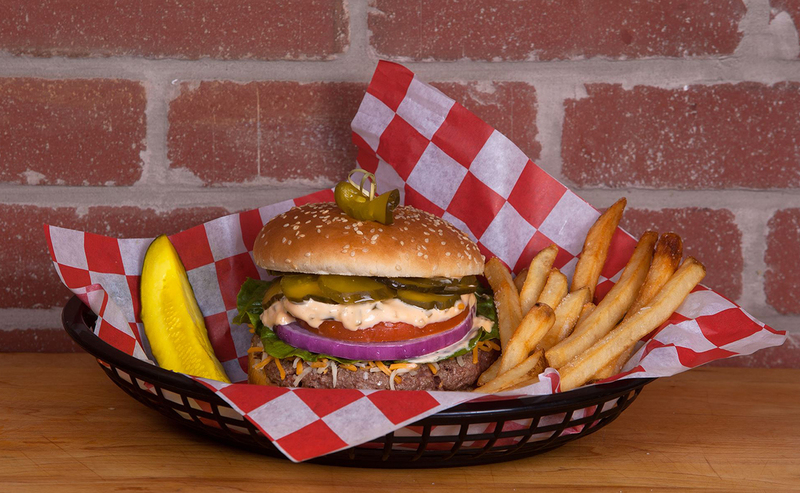 It also offers make-your-own burgers, plus chicken sandwich and veggie burger options; a few salads, and starters like loaded tots and stuffed quahogs. The menu has earned the approval of South Shore Living, the Boston Globe, Boston’s Hidden Restaurants, and more. The burger bar also hosts live music at its existing locations, which Steiding said will come to Quincy, too. “Our signature menu and live entertainment features will be a great complement to the thriving urban center in downtown Quincy,” he said, via a press release. The 164 residential units at West of Chestnut are set to open in May. Gate Residential is building the development, and it’s also planning a second phase, called East of Chestnut, with 220 additional housing units, plus more retail. KKatie’s Burger Bar, opening fall 2016 at 32 Chestnut St., Quincy, kkaties.com.